Yes, it’s that time of the week once more. If you haven’t seen last week’s YouTuber of the week, I suggest you get right on that. I only bring you joy, trust that these recommendations are top notch. 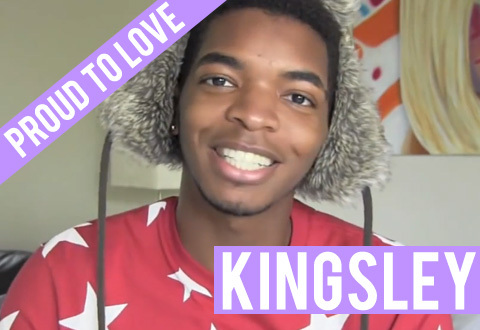 So, drum roll please, this week’s amazing YouTuber is…KINGSLEY! If you have never heard of him, you have been missing out on something that is too grand to create a comparison for. Seriously though, Kingsley was one of the first vloggers I subscribed to on YouTube way back when, when I hadn’t developed my addiction (to the Internet, calm down mom) and I have been watching every one of his uploads. His videos are simply hilarious and brutally honest. He has many vlogs including ranting about things that happen to him in everyday life that most of us can relate to. Overexposed is a countdown he usually does towards the end of the year ranting about the trends that were overdone throughout the entire year. Last year he included “Cups” by Anna Kendrick, “Stay’ by Rihanna, the show “Catfish”, the phrase “turn up” and “Sharknado” and lost of other over-poular things that trended throughout 2013. He also has a skit called “Really B Really?” which never fails to render me to tears with laughter. It’s basically a mini series involving three besties: Heather Ann, Beatrice and LaVodka and their crazy adventures. Mind you, he plays all of these characters! My favourite part of Kingsley’s channel, I must say, is his “Ask Kingsley” section. The questions his audience ask are completely nonsensical, which means his answers are crazy funny and, at times, a tad nuts. So, go on and check him out, I guarantee you will be hooked!